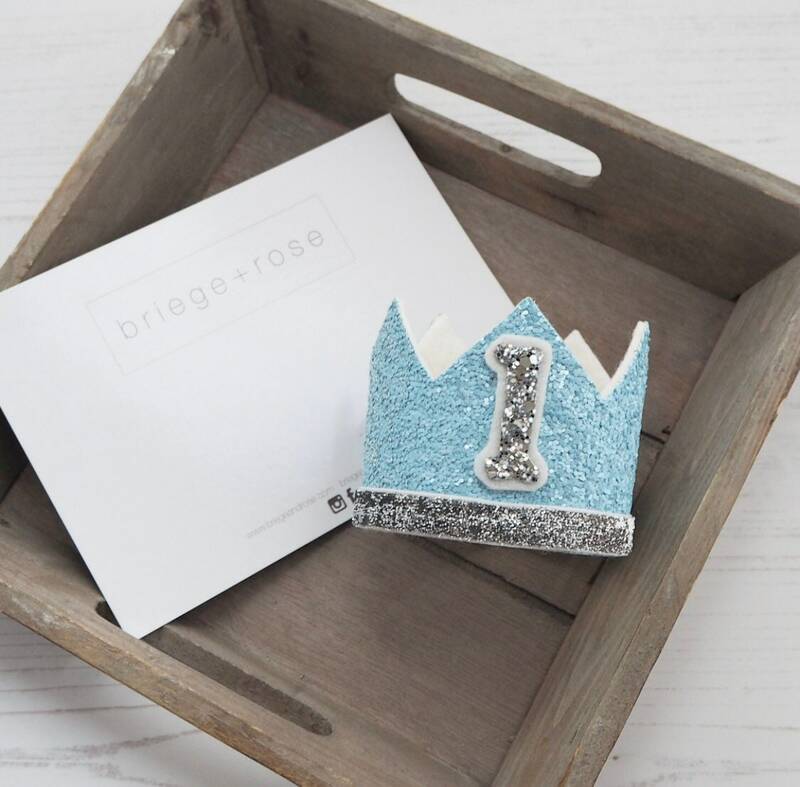 A delightful little boys version of the birthday crown! 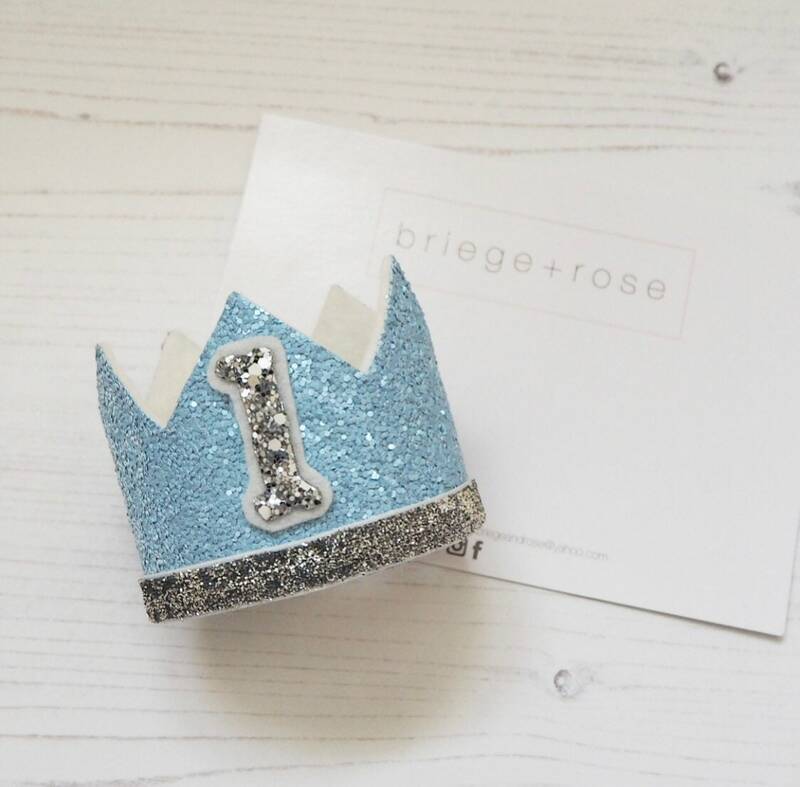 Matte blue glitter finished with a silver trim and number of your choice. Comes on a super soft stretchy band - no need to size!